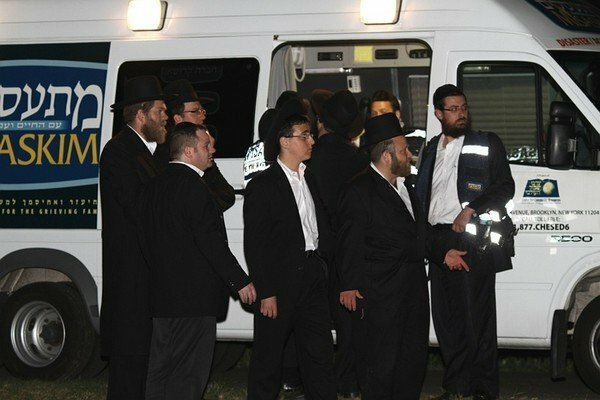 Shliach Helped Coordinate Leiby's Burial Early this morning, about 500 mourners made their way from Brooklyn, NY to Washington Cemetery in South Brunswick, where young murder victim Leiby Kletzky was laid to rest. Leiby vanished Monday while walking home from a day camp in Brooklyn. He was killed and dismembered by a stranger he had asked for help after he got lost, police said on Wednesday. 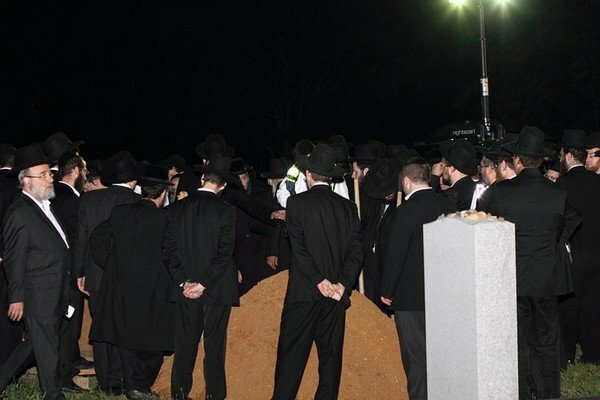 "As a father of three young children, I kept on top of the events as the news broke," said Rabbi Mendy Carlebach of Chabad of North and South Brunswick, who helped coordinate the burial in South Brunswick. "Once we got the news of what happened, we were just in complete and utter disbelief that such a thing could happen to a boy that young, that such a monster could do this type of thing to a child." Leiby was last seen in the Borough Park section of Brooklyn around 5 p.m. Monday. The Hasidic child was returning home from the camp and was to meet his mother a few blocks away, according to police. "We were in total disbelief and shock to this tragedy," Carlebach said. "The only consolation was seeing much of the unity of the Jewish community who came out to assist in finding him. Literally thousands came out to help search the different areas of Brooklyn." Police announced the arrest of a 35-year-old suspect from Brooklyn,Levi Aron. Investigators said Aron was shown on surveillance video being approached by the child. About 15,000 people attended the funeral for Leiby in Borough Park last night around 10 p.m. The procession then made its way from Brooklyn to Washington Cemetery, arriving around 12:45 a.m. In the early morning hours under a dark sky, Leiby was laid to rest in South Brunswick. "In the Jewish religion it's customary to bury the deceased as soon as possible, most ideally we bury the body the same day the person passes," Carlebach said. "In this case the burial was held up by the investigation, so as soon as the body was released by the medical examiner, this was done as soon as possible. "Washington Cemetery has seen some large funerals for Grand Rabbis and a number of Hassidic groups have purchased plots there." The ceremony in South Brunswick was brief, including a few prayer readings, and the reading of a remembrance prayer known as a kadish. "The one thing I can take away from this whole tragedy is the way this united not just the community in Brooklyn, but people throughout the tri-state area," Carlebach said. "Jews, non-Jews, Orthodox, non-religious, everyone came together to search for and mourn this young boy. Everyone wanted to help find him. Everyone wanted a positive outcome. This just struck a chord with so many people. This was just so sad and unfortunate to happen to such a young child."